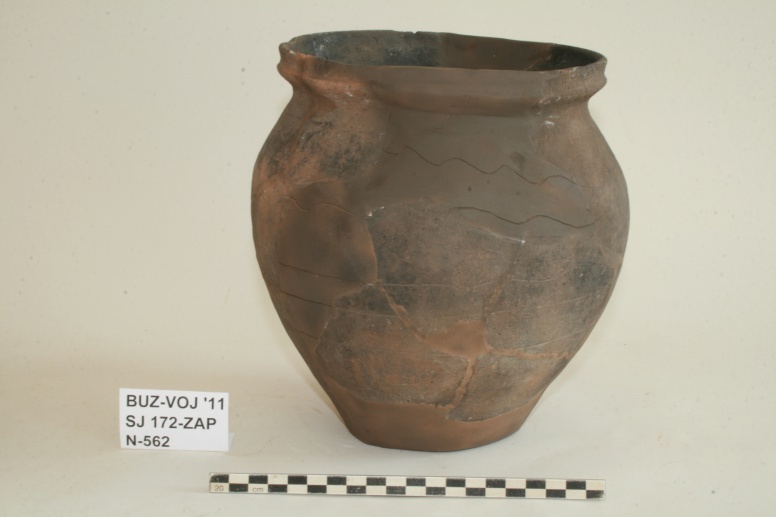 The archaeological site of Buzadovec-Vojvodice is situated in the valley of the Glogovnica river, next to its eastern bank, on the Vojvodice grasslands, as well as on the western slopes of the hill accommodating the present-day village of Buzadovec. In the mediaeval context, this was the territory of the large and important Križevci County within the so-called regnum Sclavoniae. The route of the future motorway A12 Sveta Helena – BC Gola, section Gradec – Kloštar Vojakovački passes through a part of the site. 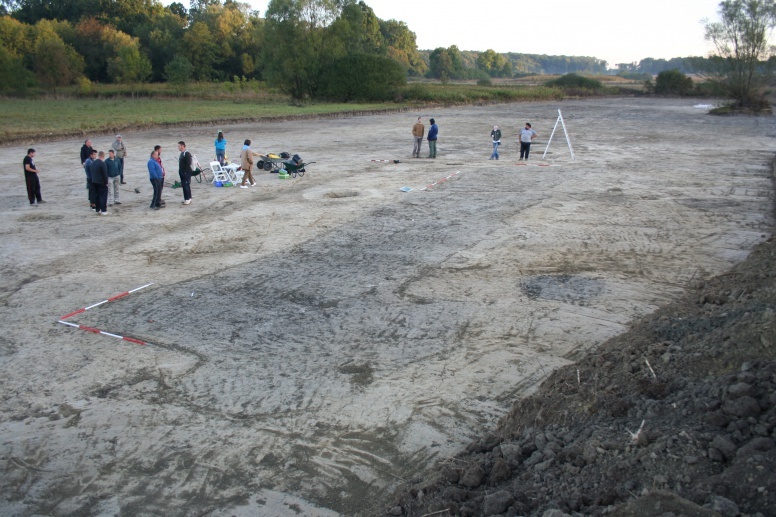 In 2011 and 2012, the Institute of Archaeology carried out investigations on a total area of 15340 m2, which yielded a large late mediaeval settlement with the remains of around two hundred structures. The remains of older prehistoric settlements were discovered, too, i.e. pits and ceramic finds from the 1st century BC, as well as lithic artefacts from mediaeval structures that date back to even earlier prehistoric periods. Life in the late mediaeval settlement lasted from the mid-13th century into the second half of the 15th century. The earlier 13th century settlement occupied the southern portion of the site, where the excavation uncovered a large house with a cellar below, extending the length of the house. The archaeological remains suggest that it was built of wooden planks coated with mud. The house had an elongated shape, measuring 20 x 4 m. Its inventory suggests that it was owned by a prominent person of high living standard. Accessory features, refuse pits, and a fenced area for keeping livestock are clustered around the house. In the 15th century the settlement expanded northwards, where a cluster of accessory features was discovered, with fireplaces, hearths and ovens. 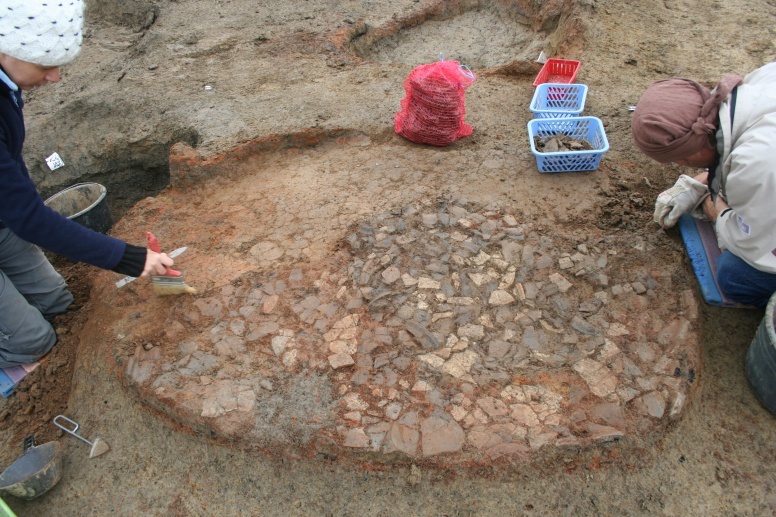 The northern portion of the site yielded the remains of two domed clay ovens, whose bases were paved with numerous potsherds serving as heat insulators. 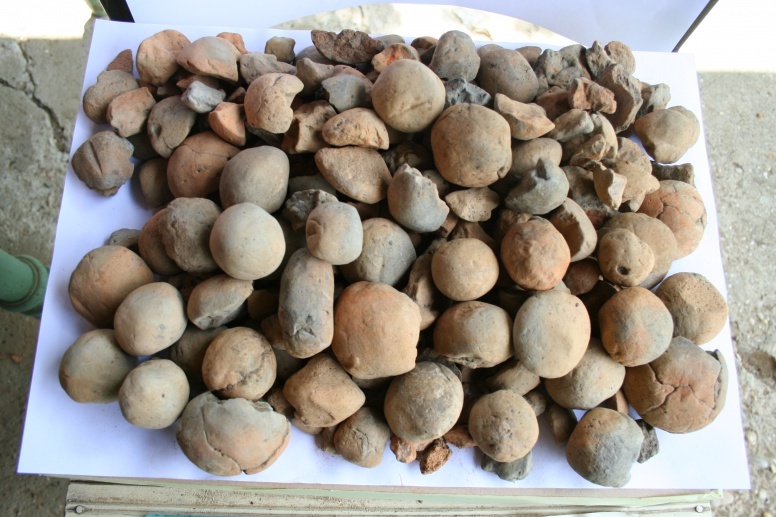 Worthy of mention are the numerous ceramic “spheres” (circular, biconical, flat and cylindrical). Their function is disputed – it is not known whether they served as sling shots in hunting and warfare, or as food heaters, used especially, for instance, in the production of cheese.